Unfortunately, I didn’t get around to posting anything for Thanksgiving. The fam, obviously, isn’t too keen on insect dishes. 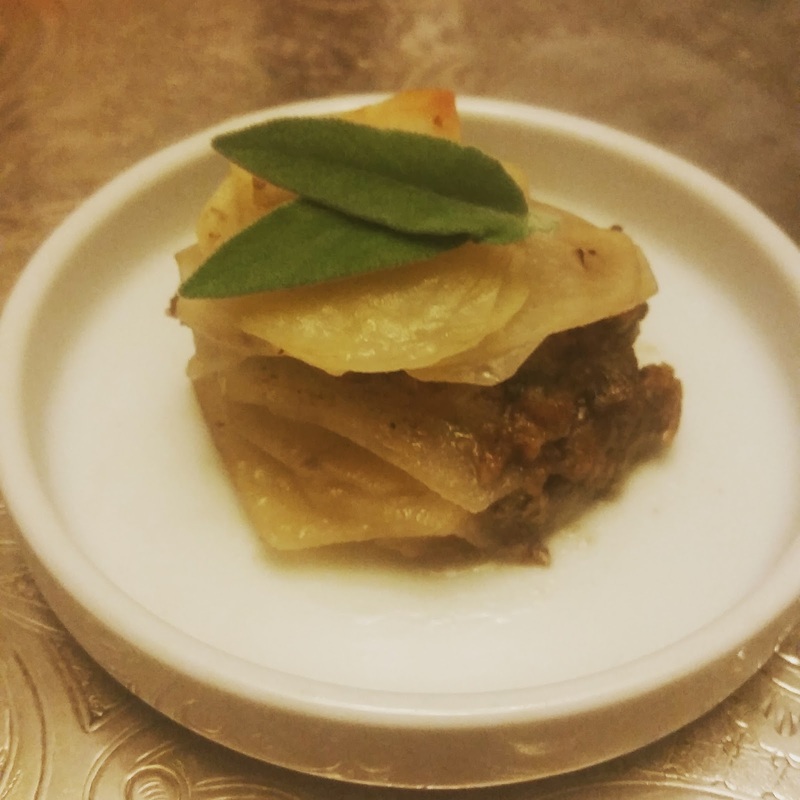 I did, however, have lots of leftover potatoes and sage and had a hankering for potato stacks. That, paired with my love for mealworms, resulted in a new recipe. These are insanely easy to make and look beautiful as appetizers or a nice side dish! 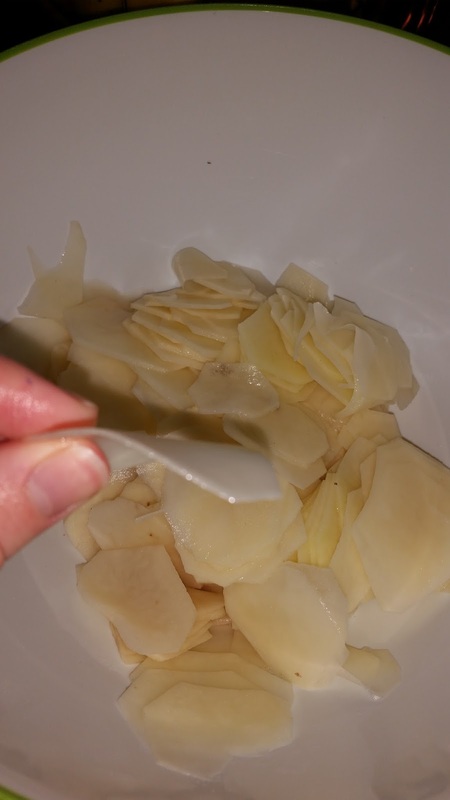 First, rinse and peel potatoes and slice them potato-chip-thin (about 1/16″) with a mandolin, unless–of course–you’re a potato slicing savant. I’m not, so I use mandolins frequently. Watch your fingers while you’re slicing!! Afterwards, mix potatoes with olive oil, salt, pepper, and garlic powder and set aside. Melt butter on low heat. 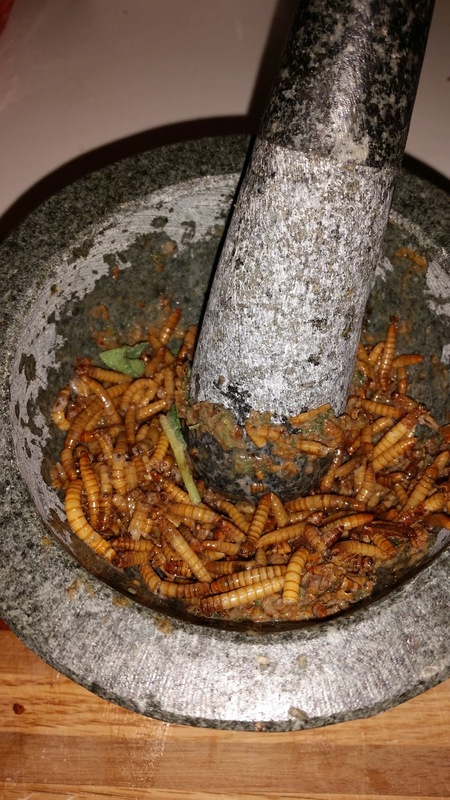 In the meantime, chop and then grind the sage, along with the mealworms with a mortar and pestle until the mealworms aren’t visible (I didn’t care if they were really visible since my husband and I were the only ones eating them). 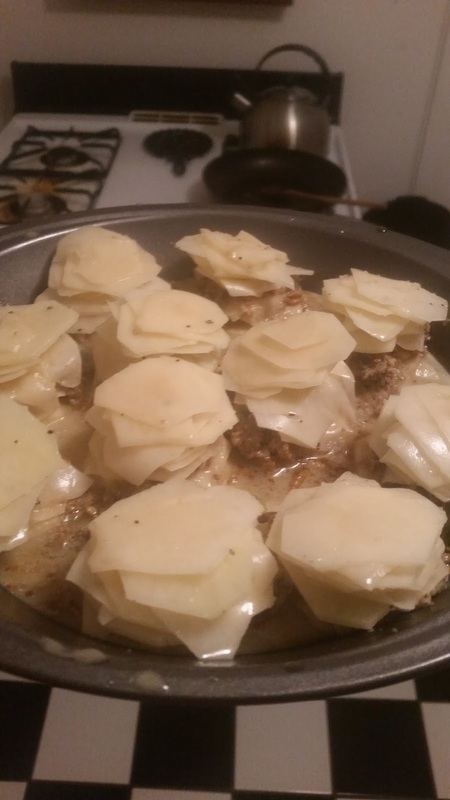 Then toss them into the pan with butter, along with the parmesan cheese, salt, pepper, and vegetable broth. Turn to medium heat and let simmer 1-2 minutes, while stirring constantly. Turn heat off. Pre-heat oven to 400º F and prepare a 9″ round baking sheet, grease it, and then start layering potatoes half way. Now, drizzle potatoes in savory mixture and continue layering until you’re out of potatoes, then drizzle again with butter or oil. Put in oven and bake for about 30 minutes, or until tops of potatoes are golden brown. Enjoy! Previous Post Mini Mealy Quiches!